The Tableau community represents the very best of what we data people can be. When we come together, we create a vibrant place for all data lovers to learn, share, and most importantly, connect. This community is selfless and humble. It’s diverse and welcoming. Together, we build each other up, celebrate successes, and help each other overcome obstacles that may seem too daunting to tackle alone. Together we are extraordinary. “We Are Data People” is our anthem. It embodies everything this amazing community has come together to build, and we think that’s reason enough to celebrate. 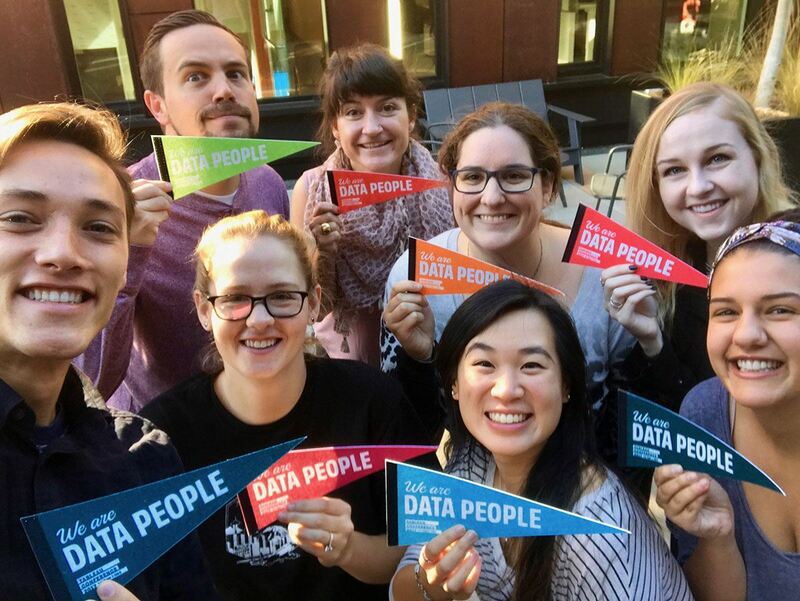 Starting September 25th, we mailed 5,000 #WeAreDataPeople flags to our community with one simple directive: Take a selfie. Didn’t receive a flag? We’ve got you covered. Complete this form, and we’ll get one sent your way as soon as possible, while supplies last. Terms and conditions apply. The Tableau community is—and always will be—exceptional, and that’s because of each of you. Thanks for joining us on our mission to help people see and understand their data. We couldn’t do it without you.